Just like in many other games in the Pokemon series, Pokemon GO has shiny pokemon. As usual, there's a small chance a pokemon you catch will be shiny, though that chance does seem to be greater in Pokemon GO than in previous games. With Gen 4 now available in Pokemon GO, there are some new shiny pokemon to contend with. In this Pokemon GO Shiny Guide, we'll list all of the new Gen 4 Pokemon GO Shinies, and also all of the others that we've found so far. We'll go over how to get shiny pokemon in Pokemon GO, and what the odds are. Niantic recently introduced two shinies that have been often requested by fans, as such we'll be taking a look at Shiny Cubone and Shiny Ponyta. If you're keen to learn more about Pokemon GO but already know all there is to know about shiny Pokemon, head on over to our Pokemon Go Guide hub. It's full of really useful information to help you become a great Pokemon trainer. Niantic has released a couple of new shiny pokemon into the wild. It's to celebrate the release of Ingress Prime, the latest version of the mobile game that helped spawn Pokemon GO. 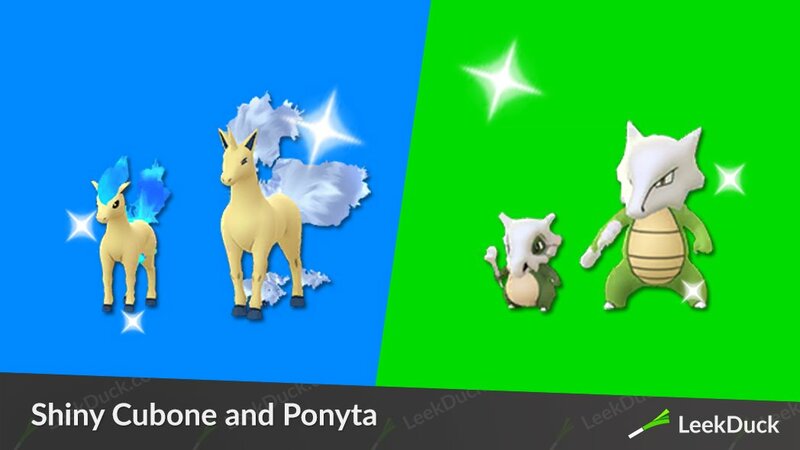 You'll be able to encounter Shiny Cubone and Shiny Ponyta in the usual ways, and luckily both pokemon will be appearing in the wild more frquently for a little while, so get hunting trainers! Now that Gen 4 is live in Pokemon GO, there are some new shinies to get ahold of. We've listed all of the new Pokemon GO Gen 4 shinies below, along with a screenshot of what they look like in game. For some time, there were only two shiny Pokemon available in the game; Magikarp and Gyarados, a little surprise from Niantic in honour of the red Gyarados in the Lake of Rage. Since then it has opened the proverbial floodgates, resulting in hundreds of shiny pokemon being reported by players. As for getting shiny pokemon in Pokemon GO, the process is no different from catching regular Pokemon. All you need to do is simply tap the Pokemon and attempt to catch it in the regular way. You might expect the model of the Pokemon would appear differently before you enter battle, but shinies appear just like regular Pokemon up until when you engage them. If you see a Magikarp flopping about on the map, tap it! It might happen to be a shiny. While the odds of finding a shiny Pokemon don't appear to be as high as the 1 in 8192 odds of old, initial findings put the number at somewhere around the 1 in 350 mark. Niantic never releases the exact odds for Shiny Pokemon in Pokemon GO, but we do know that they increase significantly for certain pokemon during certain events. For example, Shiny Roselia was more common during the 2018 Safari Zone weekend in Dortmund. Shiny Articuno will be more prevalent during Articuno Day, and so on. There's no difference between a regular Pokemon and a shiny Pokemon aside from its appearance. There's no bonus to IVs, no power boost and nothing else that could differentiate it from a regular version. They are more of a bragging right or a collectible, boasting alternate skins to regular versions. One of the worries you may have with regards to your shiny pokemon in Pokemon GO is whether or not you'll lose its special shine after evolution. Luckily, you can rest easy as Shiny pokemon will stay shiny after evolving in Pokemon GO. Trainers, we're getting reports from Trainers discovering Shiny Pokémon such as Natu and Sunkern. Have you had a Shiny encounter? Let us know in the comments below! According to a recent tweet from Niantic, trainers can now get their hands on Shiny Geodude and Shiny Grimer. They will appear naturally in the wild, so it's just a matter of finding the. 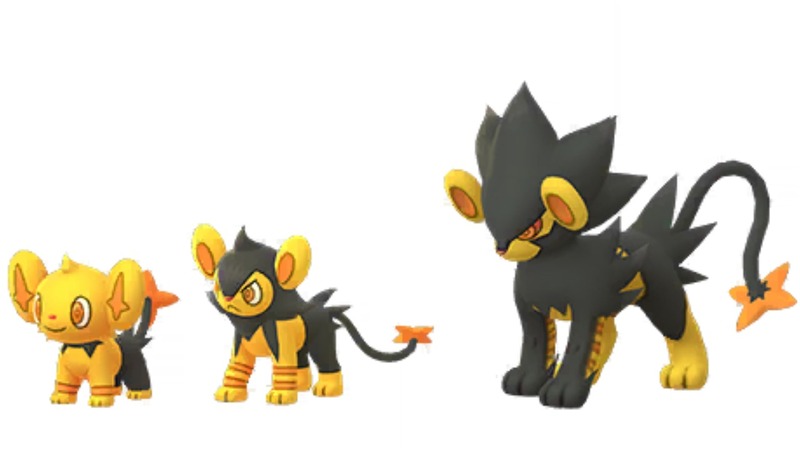 As a result of these two shinies being added into the game, their shiny evolutions are also available. Just evolve them to get hold of Shiny graveller, and Shiny Muk. For more on the game, why not check out how to evolve Eevee in Pokemon GO. You can also head over to our Pokemon GO Ditto Guide for tips on how to catch Ditto in Pokemon GO. There's also everything you need to know about Field Research in our Pokemon GO Field Research Guide.